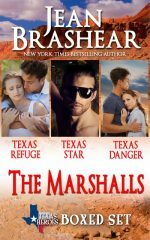 Seeking peace after nearly dying in a failed attempt to save his sister, the last thing former Houston detective Quinn Marshall wants is another woman to watch over, but someone important to his brother is in trouble, and Quinn’s basic nature is to protect. Soap opera star Lorie Chandler has already lost her husband to an obsessed fan and now her son is the madman’s new target. 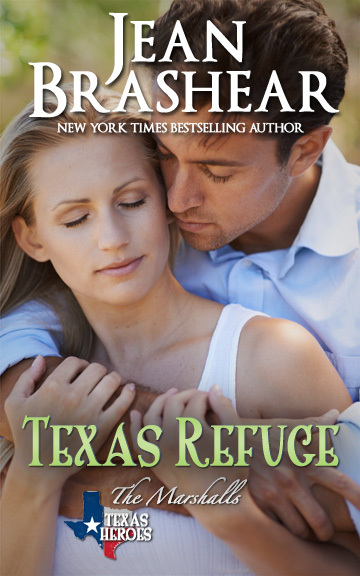 While the police hunt the killer, Quinn’s rugged Texas ranch is the ideal hiding place for Lorie and her child. 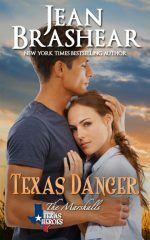 Neither Quinn nor Lorie expects the explosive heat or the powerful emotion that flares to life in his canyon refuge, yet there is no future for them and both are painfully aware that their time together can only be temporary. When the madman finds them, Quinn’s sole focus is on keeping Lorie and the boy he’s come to love safe, even though his success will mean that he will have to give them up to a life where he cannot belong. Quinn Marshall jolted awake in his seat. The acrid scent of candle smoke seared his nostrils. He glanced around and remembered he was on a plane. Took a deep breath. The passenger beside him still slept. But the flight attendant’s gaze was locked on his. Had he cried out in his sleep? She hesitated. He flattened his gaze and sat still, willing her to give up. What he needed was beyond even her best intentions. After she retreated, he shook his head hard, as if that would dislodge the sense of evil clinging to the curves inside his skull. Why had the dreams started again? First the dark-haired boy, now this. For months after he’d left the force he hadn’t experienced any. He never wanted another one. After the first one, his sister had been murdered. He’d been too late to save her, nearly died himself. But now they were back. Who was the little dark-haired boy around whom he felt such danger? Who was the blond woman in the picture? I don’t want this. It’s useless. I didn’t save her. To settle himself, he visualized the table rock at the canyon’s edge where he’d found respite. Grounded by earth, the only sound the constant wind sweeping his mind clean of shadows, he could find rest for his troubled mind. He felt the change in the engines and stirred, raised his seat back and prepared for the landing. When they touched down and rolled to a stop, he uncoiled his tall frame and rose to grab his carry-on. The flight attendant caught his eye, her expression intimating that this didn’t have to be the end. With regret, he shifted his gaze to stare at the ceiling. She had no clue what she’d be tackling. “56 West 66th,” he told the cab driver a few minutes later, then settled back into the seat of the taxi, gathering himself for the charade he must act out. He hated to be less than honest with his younger brother, but Josh knew nothing about this crack in the steadiness he’d always counted on from Quinn, how it had swallowed him up, how damned scared Quinn was that the darkness seemed to have become a permanent part of him. Once they had shared practically everything, the three orphaned siblings, but Clarissa was gone, and Josh had a new life and a bright future. Their one surviving relative, their grandmother’s sister whom they called Tía Consuela, was aging and carried her own burdens. This was his battle to fight. Things were looking up for his brother now, and Quinn wasn’t going to screw it up. Josh’s grief over Clarissa had faded in the demands of his new leading role. He’d worked hard for what he’d accomplished, and Quinn wanted him to savor it. Quinn only wished his brother would leave him alone in the canyons to seek his own peace. But Josh and Tía Consuela had conspired to corner Quinn into paying Josh a visit in New York, and Quinn had run out of excuses. He hated cities. The years he’d spent as a Houston homicide detective couldn’t be forgotten so easily, but he damn sure tried. Visiting New York brought back too many unwelcome memories of crowded streets. Of danger, of darkness. “Here we are.” The driver’s voice broke into his thoughts. Quinn paid the fare and stepped from the cab, looking around him. God, the noise. A pang of longing for the crisp, clean air of the High Plains, the endless stars in the Texas nighttime sky, squeezed his heart. It was only a few days. He squared his shoulders and entered the building.